Groundhog Day is next week! We love that quirky, silly holiday. 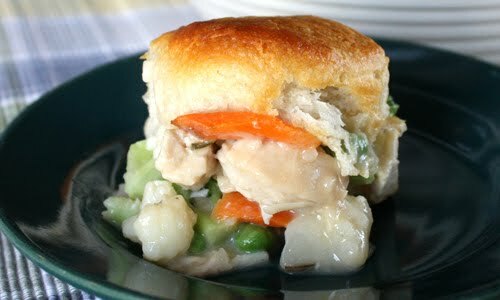 Click here to see all our Groundhog Day recipes. He's popping up everywhere! To celebrate the holiday, want to see pictures of Punxsutawney Phil at YOUR house! 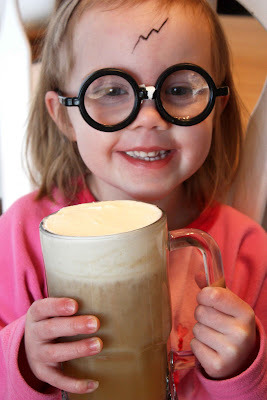 Plus, to make it fun we'll give one Gourmet Mom reader $50 just for submitting a photo! DJ Canon emailed me so many cute pictures, congrats & it looks like your family had a super fun Groundhog Day! To create your little groundhog picks, click here or on the image below to open and print. 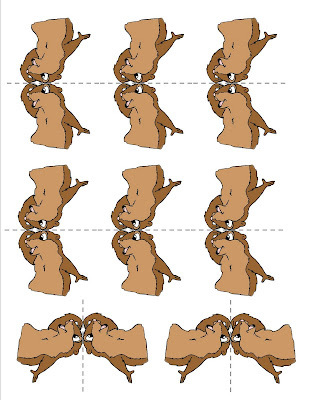 Fold each groundhog in half (along dotted line picture above). And cut out. Make sure to leave the head attached together, it's easier to line up that way. Glue or tape a toothpick inside your groundhog cutout. You're ready to go! Put Phil in sandwiches, rolls, yogurt, anywhere you can dream up! Snap a picture of these groundhog pics in your food and upload it to your blog, twitter, facebook, flickr, wherever works for you. Then, come back here and leave a comment with a link to your photo. Or, you can email them to me. You can enter as many photos as you want (go crazy!) 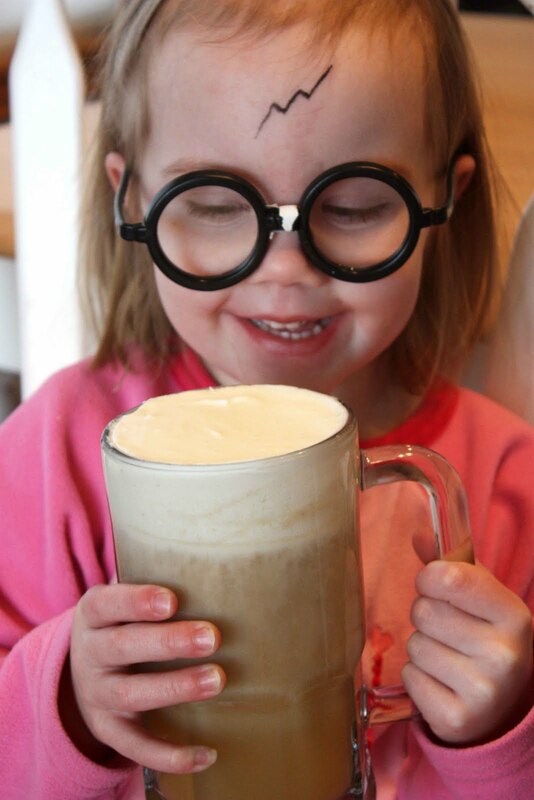 and we'll choose one random photo entry on 2/5 to win a $50 AMEX gift card from yours truly. Everyone can have one freebie entry by leaving a comment here telling me something you like about groundhogs or Groundhog Day. Open to US Residents. 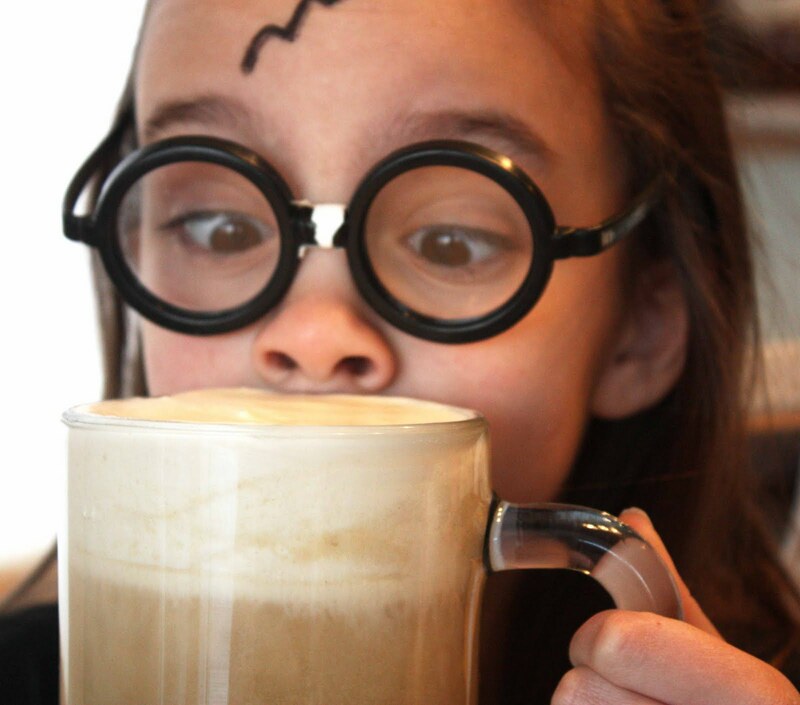 I've been dying to go see Universal Studio's new Wizarding World of Harry Potter! Friends have told me it's packed and the buzz on the street is that you MUST go have some Butterbeer at Hogsmeade. 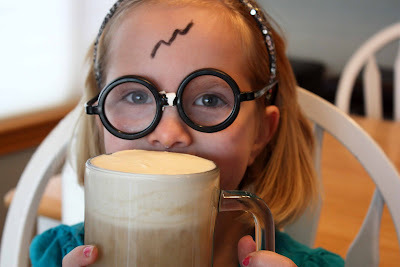 So, to escape the winter blahs we came up with our own version of Butterbeer and turned the kitchen into Hogsmeade for the day. Fun! I think the kids liked it...I could only drink a little because it's very rich! 16 ounces butterscotch ice cream topping. In a large pot, combine butterscotch ice cream topping, butter, salt and vinegar. 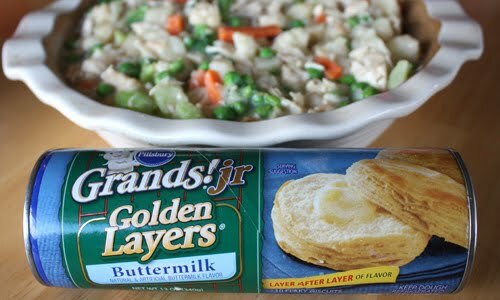 Cook over medium heat until butter is melted and mixture just starts to bubble. 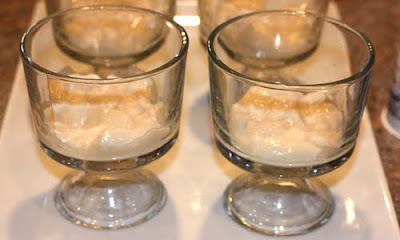 Remove from heat and add heavy whipping cream and rum extract (optional). Scoop out ¼ cup of butterscotch mixture and place in a medium bowl. Place in fridge for 5-10 mintues to cool. When cool, pour in 1 cup heavy whipping cream and beat until thickened (you do not have to beat it to stiff peaks, leave it foamy!:)). Set aside. Pour soda into pot of butterscotch mixture. If mixture is too cold, heat for a few minutes on the stove over medium heat. 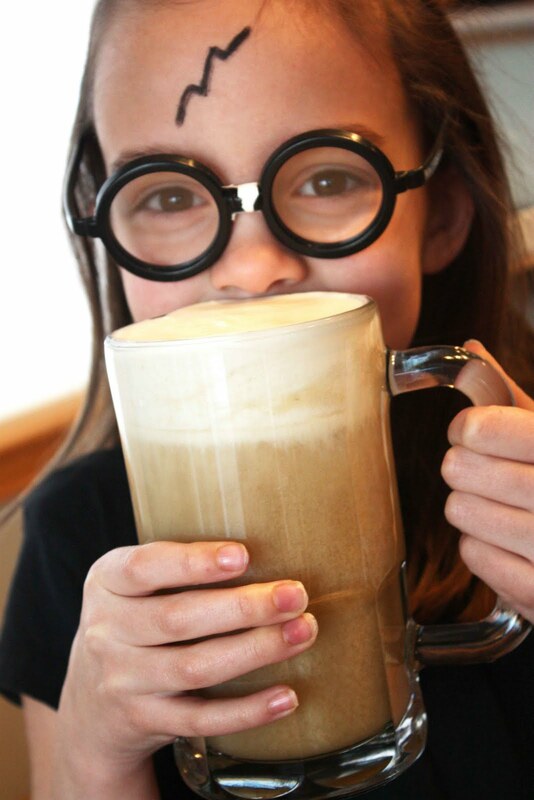 To serve, pour into mugs and top with whipped cream. According to J.K. Rowling, Butterbeer is served cold in bottles and hot in foaming tankards. We definitely liked it better warm but you're welcome to chill before serving if desired. We had lots of fun and escaped those winter "blahs" for an evening! I've been dying to share these recipe videos with you because they are so simple but SO DELICIOUS! 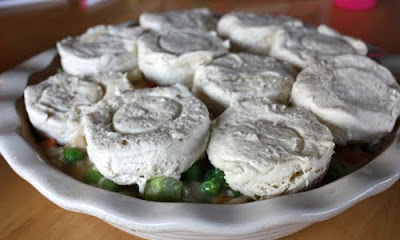 I can't wait for you to try them and I know they'll be favorites with your family, too! 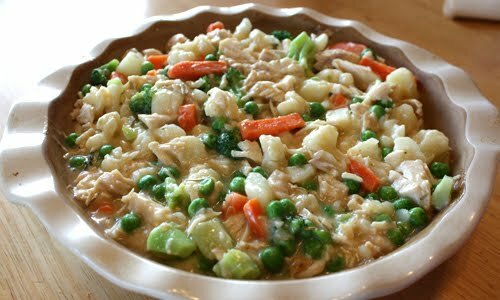 First is a super easy Chicken Primavera using new Philadelphia Cooking Creme. Yum! Second is the yummiest lasagna you'll ever have & one of my favorite recipes, a Sausage & Peppers Lasagna. What have you been cookin' up for dinner? I'm always on the lookout for new things to try! Mornings are often our busiest time of day. I’ll have a child working on unfinished homework, someone looking for a shoe…you get the idea. And, to be honest, I’m not really a morning person so I need delicious no-fuss breakfasts that I can make in a snap. 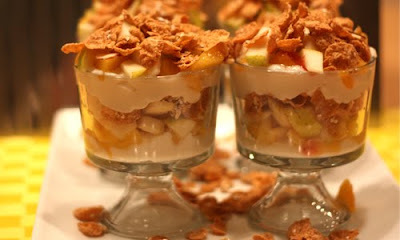 So, I whipped up these Fruit & Grain Parfaits and they were an instant favorite at our house! My kids thought they were getting some kind of “treat” for breakfast, which won me serious Mom-is-Awesome Points! So, they ran off to school with big smiles and I felt good about the balanced breakfast they just ate. 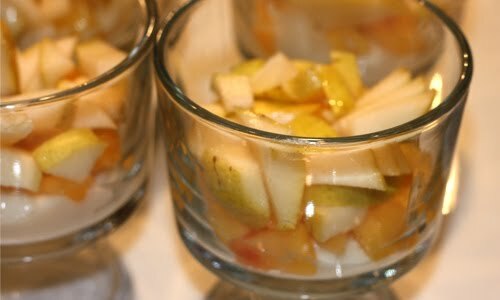 You can change up the flavors of the parfaits but we really loved the peach/pear combo with Yoplait Thick & Creamy Light Cinnamon Roll yogurt. YUM! And, the Crunchy Almond Oatmeal Crisp provides the perfect crunch along with a healthy serving of whole grains and other nutrients. Spread half of your yogurt cup into a bowl or large parfait dish… Add ¼ cup each chopped pears and peaches. Tip: Since peaches are sometimes hard to find in winter, grab a bag of frozen peach slices, thaw, and chop. They’re a great substitute. Sprinkle with cinnamon, if desired. Top with 1/4 cup Crunchy Almond Oatmeal Crisp cereal. 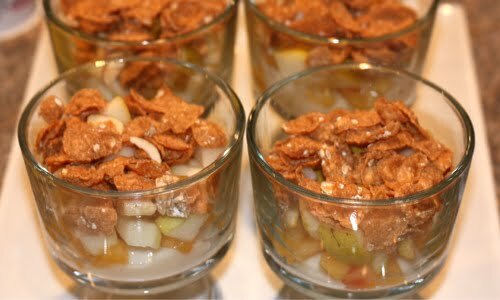 Repeat layers with remaining yogurt and more fruit & Oatmeal Crisp. Serve immediately. 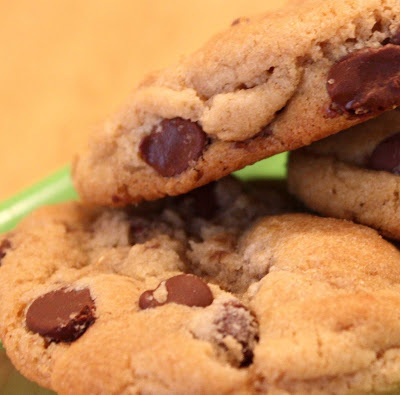 We lived at sea level for years and I had the PERFECT chocolate chip cookie recipe. We even had a friendly "chocolate chip cookie bake-off" with some girlfriends (with our spouses as taste-testers) and ours came out the winner! However, to my dismay, when we moved to 5,000 feet, my cookies were ruined! Ack! 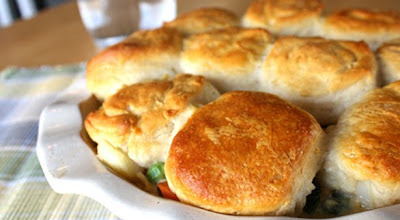 As you know, high altitude baking isn't just about adding more flour. That just doesn't cut it for me. I wanted my cookies to be perfect again! So, over the Holidays I played with the recipe quite a bit and Gourmet Dad finally declared them as good as the original. Success! We even made up a batch of these Ultimate High Altitude Cookies (well-reviewed!) to compare and we liked ours better. So, if you're at high altitude, these are for you! 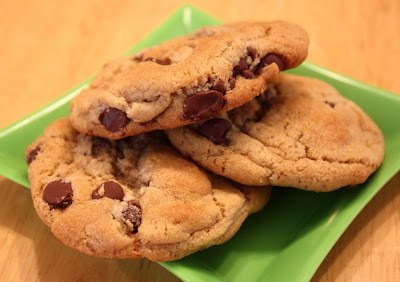 Now I need to go loosen my belt from all those cookie batches we taste-tested...yep, someone had to do it. You can thank me later. Preheat oven to 350 degrees. Whip butter until creamy, then add sugar and beat. Add salt, vanilla & egg. Sift flour and soda then add to mixture. Add chocolate chips and stir well. Bake 8-11 minutes (10 min 30 seconds in my oven) until edges are barely brown.